The Dyersville Chamber Ambassadors made a visit to Beckman Catholic High School this week to check out the expansion and remodeling project. Beckman’s project consisted of a new multipurpose room, wrestling and weight room, chapel, expanded office area and security system. 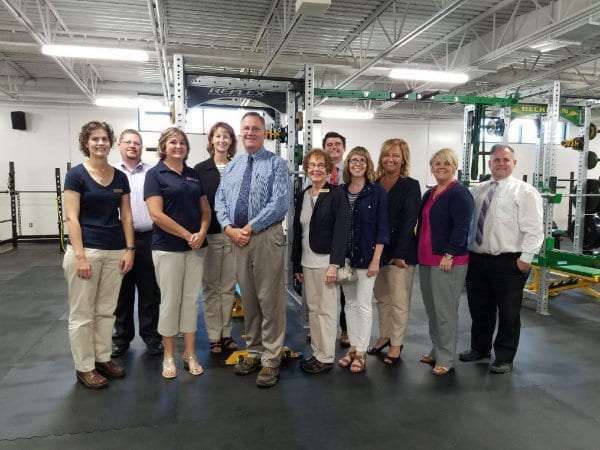 The Ambassadors are pictured below with Principal Pat Meade in the new weight room!